This is a die-cut Arden Ice Cream porcelain sign. 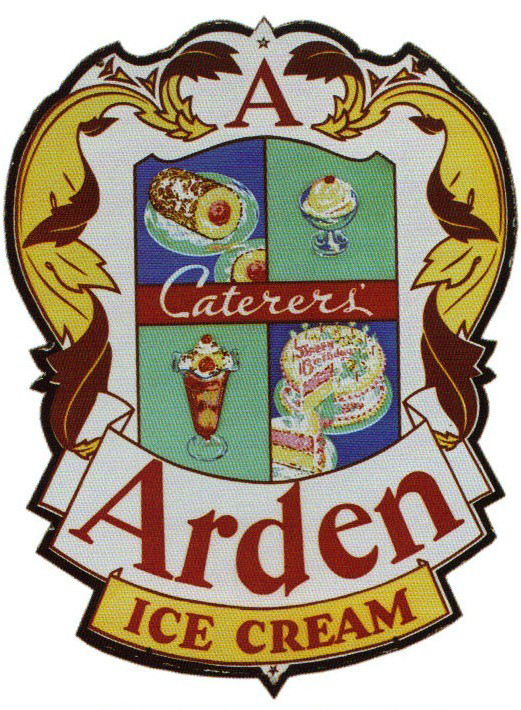 This particular Arden Ice Cream sign features a family crest design and displays the different desserts that can be made with Arden Ice Cream. It reads, “Caterers’ Arden Ice Cream” and is very colorful.